On the third year of experiments, in partnership with The Festival Agency, The TIDE Experiment launches its new scheme of “Festival-To-Date” releases, where the films are launched on festivals and Video on Demand (VoD) nearly on the same date and in several European countries. With the Festival-to-Date releases we empower some films that otherwise would have only a few lucky viewers attending the festivals. The TIDE Experiment is a European-Commission supported project committed to innovation in distribution. The Mark Cousins Hibrow Trilogy launches this summer on “Festival-to-Date” combining almost simultaneously 4 top-notch European Film Festivals and VOD platforms. 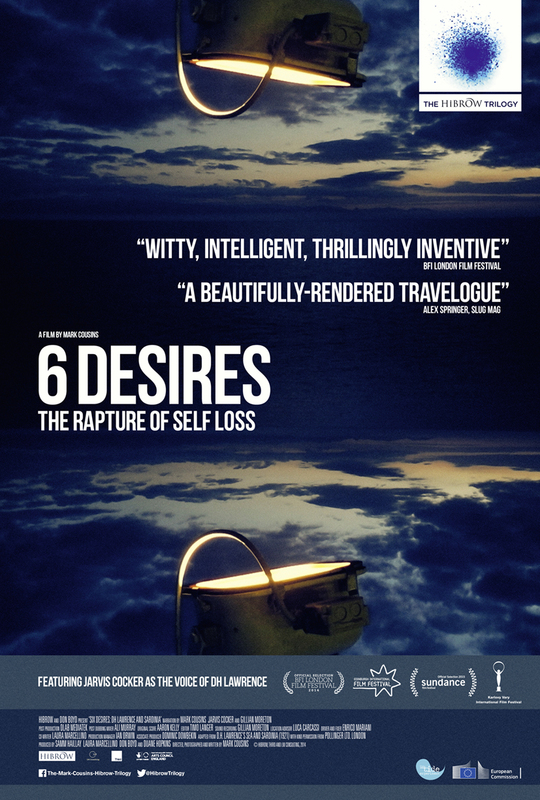 After 6 Desires International premiere in Sundance the trilogy will start its European tour at Edinburgh International Film Festival on June 22nd, FID-Marseille in France on July 3rd Karlovy Vary in Czech Republic on July 6th and New Horizons from the July 23rd – One film will be screening in each festival and the whole trilogy will be available online. 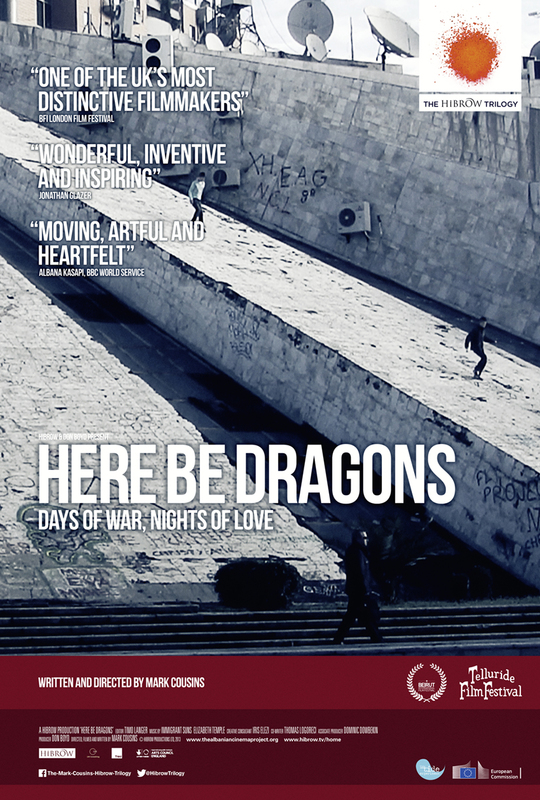 “An essay film takes an idea for a walk.” Mark Cousins, well known for his series The Story of Film, three feature-length essay: Here be dragons, Life may be and 6 Desires: DH Lawrence and Sardinia, tackle diverse subjects introducing a new way of visual thinking. The art-without-walls approach of Hibrow is meant that these films are without walls. They are all essay films, the most free form movie genre, in that it can incorporate dream sequences, letters, observational filmmaking, road movie sequences, arguments, collages. All three films are about culture – film in Tirana, bodies and architecture in Iran, the literary travel writing of DH Lawrence – but, because of the open atmosphere at Hibrow (maybe it is a bit like the Factory, which makes Don Boyd Andy Warhol), their forms aren’t traditional. 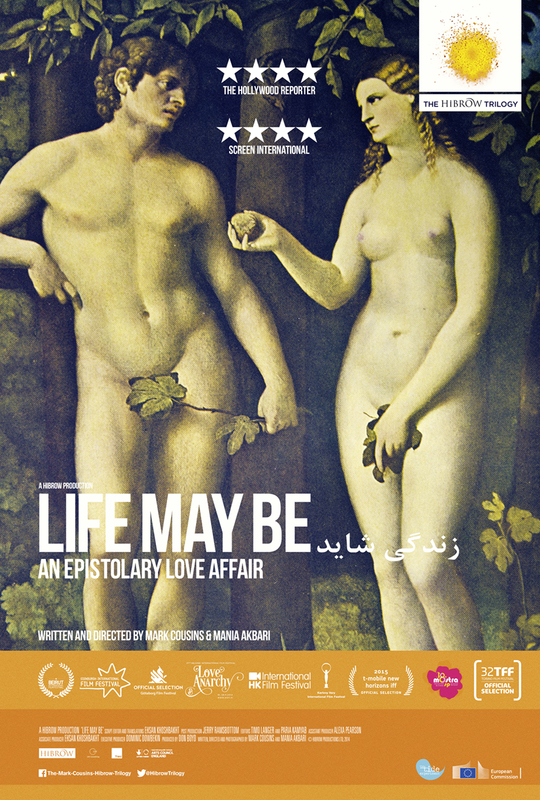 Life May Be is a series of cine-letters; The Lawrence film has Mussolini, Helene Cixous and Paul Cézanne in it. Available on VoD on iTunes and Google. An epistolary feature film: a cinematic discourse between a British director, (Mark Cousins, the celebrated film maker and historian) and an Iranian actress and director (Mania Akbari, famed for her work with Abbas Kiarostami and in her own right as a director) which extends the concept of “essay film” with startling confrontations in the arenas of cultural issues, gender politics and differing artistic sensibilities. A unique journey into the minds of two exceptional filmmakers which becomes a love affair on film. In 1921, DH Lawrence travelled to Sardinia to search for sun and a simpler way of living. His writing about the trip is amongst the most vivid in literature. Lawrence wanted to escape the 20th Century, but he couldn’t. Mussolini was coming and so was sickness. Mark Cousins’ innovative new film retraces Lawrence’s journey, and gets to the heart of its beauty and passion.